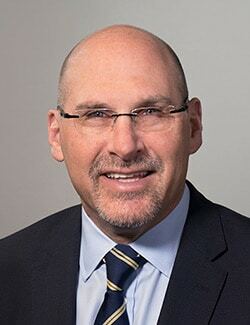 Upon completing his training, Dr. Rosenfeld spent the first seven years as the chief of urology at the Fallon Clinic, where he especially enjoyed teaching urology residents as an assistant professor of urology at the University of Massachusetts School of Medicine. From there he went on to build a very successful solo practice in Tucson, Arizona, where he was dedicated to delivering state-of-the-art patient care delivered in a personal, caring environment. He brings these same values to Urology of Virginia and will continue to focus on prostate enlargement, diagnosis and treatment of prostate cancer, treatment of kidney stones, as well as performing the no-scalpel vasectomy. Dr. Rosenfeld is also a published author, completing his first book in September of 2011 entitled, “Make Every Shot Count: How Basketball Taught a Point Guard to be a Surgeon.” It’s a fun, quick-reading story about a young kid who utilizes values learned on the court to overcome adversity and attain his goals. Noted to be a book for the underdog, this highly personal memoir has received extensive positive reviews and has been well received by readers in all age groups. Born in Petersburg, Virginia and having attended medical school in Richmond, Dr. Rosenfeld is excited to once again be a part of the Virginia community, and looks forward to making a difference in his patients’ lives. He is married to Lisa, who was a pediatric resident when they first met at the Medical College of Virginia. They have one daughter now attending college. Dr. Rosenfeld is board certified by the American Board of Urology and the National Board of Medical Examiners and is a Fellow of the American College of Surgeons. He is a member of the American Urological Association and the Mid-Atlantic Section American Urological Association.